Gears in one form or another are a part of most mechanisms, but they are by no means as simple as they may appear. This book explains simply, clearly and comprehensively the underlying theory involved and, in its second part, how to cut gears on a lathe or milling machine. Explanations and reasons for all conventional types of gears are clearly set out in this book together with useful tables and machinery techniques to form an invaluable reference work for anyone dealing with machinery. 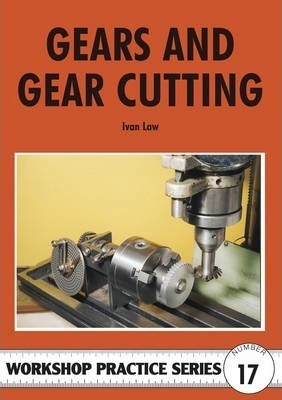 It covers all the questions raised by enthusiasts who have watched the author demonstrating gear-cutting techniques at exhibitions throughout Britain, where his advice on engineering matters has been constantly sought. Basics. Tooth Form. Gear Tooth Sizes. Rack and Pinion Gears. Bevel Wheels. Worm Gears. Definitions and Formulae. Dividing Heads. Cutting Spur Gears. Cutting Worms and Wormwheels. Cutting Bevel Gears. Making Gear Cutters. Ivan Law is a very experienced and much-respected engineer who will be known to many readers for, particularly, his lucid and practical demonstrations and explanations over many years at the annual International Model Show.